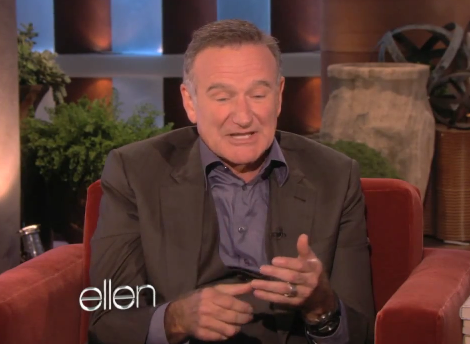 Looks like we can add Robin Williams to the list of people who are in love with Siri. Apple has included the assistant in every iPhone 4S. With reports of Siri being somewhat cruel (just kidding) to some, it’s nice to see the application in a lighthearted way. Ellen admits that while she knows and is interested with the Siri phenomenon she isn’t all that familiar with it. She asks Williams if Siri is an app for the iPhone in which he responds that it is the app for the iPhone. He quickly cuts into a role-playing back and forth conversation he has had with the Apple assistant while in France. Robin Williams’s fans should definitely take a look at the short Ellen clip; it showcases the actor’s amazing versatility. He has proven his talent by winning an Academy Award for his performance in Good Will Hunting and an additional two Emmy awards, two Screen Actors Guild Awards, four Golden Globes and five Grammy Awards. Williams reprises his role as plays Lovelace in Happy Feet 2. The film premiered in North American theaters on November 18, 2011.